How to settle in Europe..which 1 year cheapest MBA ? I am having 14 years experience in software testing and working in Telecom domain, I wish to do 1 year MBA from Europe, find a job and settle there. Could you please guide which MBA would be better for me? 2. Can work in the technical domain also. So MBA would be better to settle or masters in computer science? Countries with low tuition for non-EU students are on mainland Europe. I imagine English may be the only European language you speak fluently. You'll find it much easier to find work in English in a technical role than in a management role, since managers need to more often speak with customers and staff of all ages, in more roles. An MSc in some shortage technology field seems like a great option. Look at mastersportal.eu to filter schools by fees and language of instruction. Also see the DAAD.de website. Otherwise, maybe consider options in the UK? Without speaking the national language (I'm assuming you don't speak, say, German or Swedish for example), your options are potentially more limited. Thank you for any advice or any other alternatives keeping in mind that budget is an issue. EADA has much better careers support than UC3M. No point attending an average French school for a degree in English if you can't work in French. That's good to know. If I were to take intensive French lessons over the next year so that my language skills were better, would this change your advice? Post-MBA work visas can be vexing for many students. 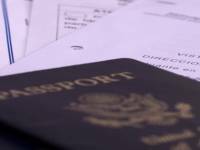 Here are the rules for getting visas in countries popular among MBA students.